In a double-blind, placebo-controlled trial of 663 patients with symptomatic paroxysmal AF (n=542) or persistent AF (n=121), recurrent AF or flutter was observed in patients randomized to LOVAZA who received 8 grams/day for 7 days and 4 grams/day thereafter for 23 weeks at a higher rate relative to placebo. Although the clinical significance of these results is uncertain, there is a possible association between LOVAZA and more frequent recurrences of symptomatic atrial fibrillation or flutter in patients with paroxysmal or persistent atrial fibrillation, particularly within the first 2 to 3 months of initiating therapy. 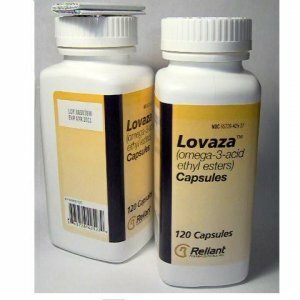 LOVAZA is not indicated for the treatment of AF or flutter.